Matthew S. Burdette, 14-year-old victim of cyber bullying and cyber voyeurism. Since Matthew’s death in November 2013, his family has repeatedly tried to get answers from the school, but to no avail. His aunt and his father took the suicide note with them to the school, and asked officials what they knew about whatever had driven their beloved Matthew to such despair. The school dropped a cloak of secrecy over the incident for months, and refused to share information with the Burdettes. The distraught family only pieced together what had happened to Matthew after classmates blew the whistle on the school, and revealed the existence of the excruciatingly embarrassing video. Mechak said, “Kids came forward to help them figure out what was going on.” They told Matthew’s parents that after his antagonist spied on him over the stall, the student put the video he shot on Snapchat, Vine, and other sites on the web. “It went viral. It went beyond his school. It went to other schools in California,” Mechak said. “Kids in the neighborhood who didn’t go to Matthew’s school had heard about it and seen the video that was taken of him.” Then the weeks of brutal taunting and bullying started. The bullying was unrelenting, according to Mechak, though Matthew hid his crisis from the family. “Kids saw this video and began to tease Matthew mercilessly — they teased him, they harassed him. They made his life miserable over a two-week period,” she said. Then, he took his life. Matthew’s parents demanded to know what the school had done about the boy who videoed their son. Mechak says that she and they bear no ill will toward the kid who ignited all this sorrow. 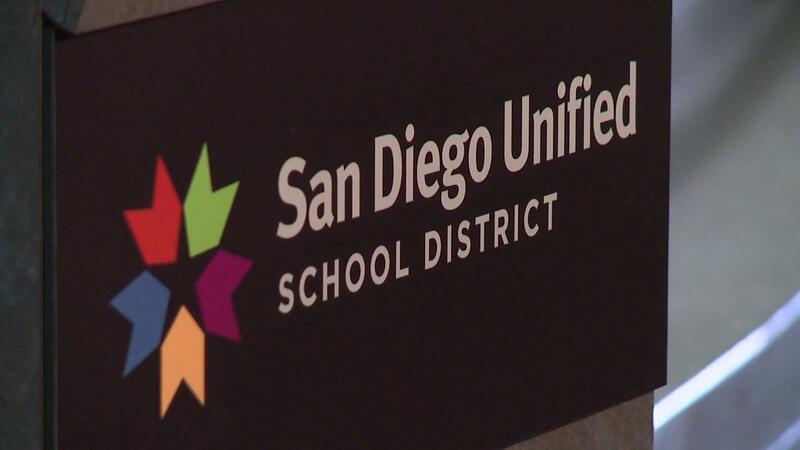 It was only after the San Diego Police Department told them that the unnamed juvenile had been arrested and confessed to taking the video, and the District Attorney refused to supply the family with any more information about the case that the Burdettes secured an attorney to file a claim against the San Diego Unified School District, and bring their side of the story to the public. “I don’t have hatred for the kid who took this video. He was a dumb kid who did a dumb thing. But these kids don’t get it. They don’t realize how big the cyber bullying world is,” Mechak told ABC 10. The Los Angeles Times reports that Matthew’s parents, Timothy and Barbara Burdette have filed a $1 million claim against the school system, alleging that a teacher, a school administrator, and possibly other school employees knew about the incriminating video and its creator, and did nothing to protect or help their son. In the claim, the Burdettes say that they are now “forced to bear the death of their son for the rest of [our] lives.” The school system rejected their claim, so the family now has six months to file a lawsuit. Their attorney says the school failed Matthew on several counts, and that the creator of the video may be guilty of breaking California’s anti-bullying law. The District Attorney says that their will be a hearing for the young man who ignited this whole incident on July 23. Bullying in schools remains at epidemic levels throughout California and the United States. 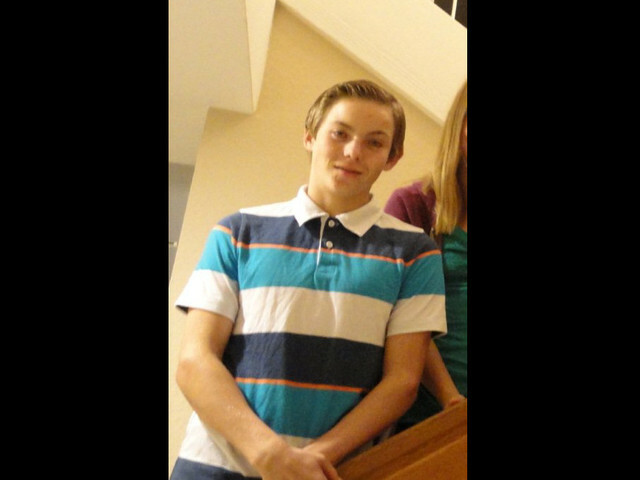 Matthew Burdette’s case shows that even athletic and well-regarded teens can fall victim to suicidal despair, whatever their perceived sexual orientation or gender identity and presentation may be. It is imperative that parents and friends know the warning signs of the onset of suicidal thoughts in teenagers. The National Association of School Psychologists (NASP), among others, have excellent online resources to help teens and families. Their teen suicide prevention information may be accessed here. 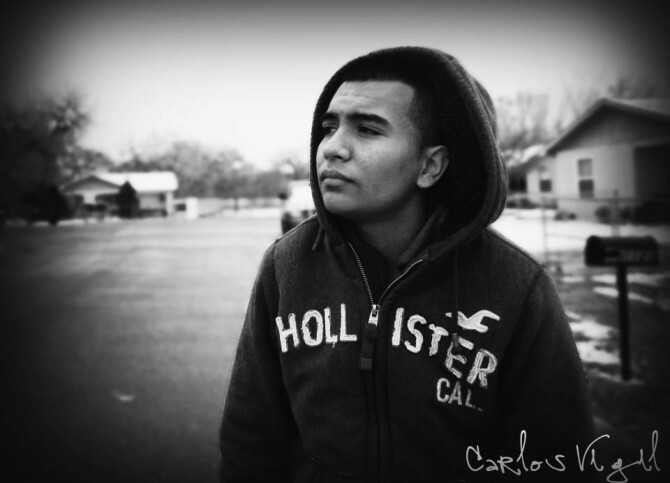 Carlos Vigil, 17, tormented to death by bullies during his senior year in high school. Ending his tweet, Carlos texted, “I am free now.” His father, who ironically had only recently returned from a conference in North Carolina where he had spoken out against anti-gay bullying in schools, saw the tweet, and rushed home, too late. 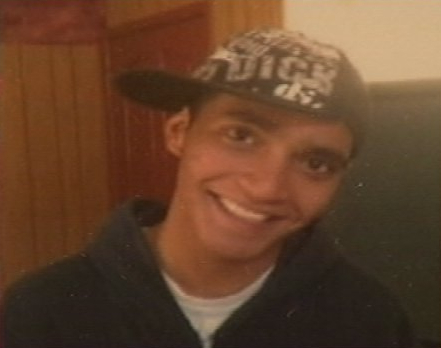 Carlos was sped to the University of New Mexico Medical Center in a coma. Late Sunday night, his parents requested that doctors remove life support from their son, after his organs had been harvested to benefit others. We should no longer be surprised that gay youth like Carlos who show compassion for the hurts of others often swim in oceans of despair that they alone are helpless to overcome. Carlos had deeply supportive parents who loved him just the way he was. But the depth of the pain of a youth who had been bullied since the third grade was beyond usual measures of love, support, and affection. Prevention is the best remedy for the multitude of LGBTQ and gender variant youth who take their own lives as a consequence of the rejection and hate speech to which they are subjected in school among their peers. 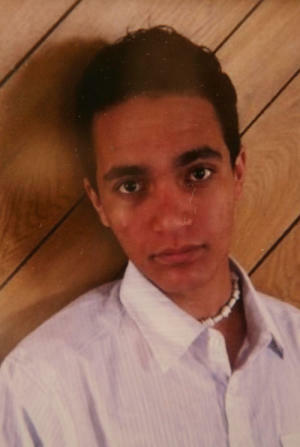 Teachers and administrators, clergy, health professionals, lawmakers, and cultural icons must act decisively to stem the tide of gay teen suicide by refusing to see LGBTQ youth as “the problem,” and, while knowing and acting on the signs of youth in trouble, must defend vulnerable boys and girls by making any hint of school bullying a serious offense. Bullies need help, too. So do the families of bullies who often enact what they hear at home, or act out from experiences of torment themselves. If anyone is in need of a listening, sympathetic ear, call the Trevor Project Helpline, 24/7, to speak to a real person who will reach out to you: 1-866-488-7386. Don’t wait! Call Now! 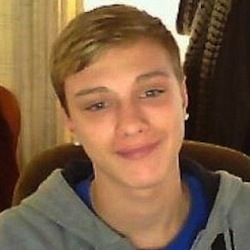 Jadin Bell, 15, driven to suicide by anti-gay bullies. La Grande, Oregon – A 15-year-old gay teen who attempted suicide after being harassed by bullies on the internet was removed from life support late last week. Anti-gay bullying, which the young Jadin Bell faced for years, has been identified by his friends as the prime cause of his act of desperation. Bell, a sophomore at La Grande High School, hanged himself from a playground structure at Central Elementary School, according to KATU News. A quick response from a passer-by rescued him. The youth was rushed to a local hospital and placed on life support. Hill was then transferred to a major Portland trauma center, where he had been clinging to life until the family determined that further heroic efforts to keep him breathing were in vain. The La Grande community rallied to support Bell and his family with a vigil on January 25 which was attended by over 200 people, many of whom had great memories and good things to say about the gifted youth who loved cheerleading, and volunteered at a senior citizen’s care facility. But the undertone of the vigil was a mixture of frustration and denial–frustration that a second young person had fallen prey to bullying (a 16-year-old girl had taken her life in La Grande earlier in the year), and denial of the overarching reason Jadin Bell had hanged himself: anti-gay bullying. No mention of the anti-gay harassment Hill suffered on the internet and in person was made in the reportage surrounding the vigil, even though the cause was well known throughout the town of 13,000 in Northeastern Oregon. In a Skype interview, Bud Hill, a friend and mentor of Bell, told KATU reporters that the family considers anti-gay bullying the aggravating issue in their son’s suicide. Hill, who has vowed to start a foundation in Jadin Bell’s memory, said that the youth’s sensitivity and kindness made him a target to school toughs. “He was different, and they tend to pick on the different ones,” Hill said. Bell had avoided confronting his harassers, saying to his family that making their hateful attacks on him public would only make his torment worse. But in recent days, the family says, Bell had gone to school officials to complain of the verbal assaults on his sexual orientation. The superintendent had initiated an investigation into Bell’s allegations, which was proceeding at the time of the suicide attempt. “Driven to suicide”: the phrase rolls too easily off the tongue. The horror of the loss of Jadin Bell is that he is one of so many. Every town and city in the nation is susceptible to become the next La Grande. The time to stop the homophobic violence preying on the youth of the nation is now, not after it is too late. The Trevor Helpline operates the nation’s only 24/7 suicide and crisis hotline for gay and questioning youth. Don’t wait any longer. Call the Trevor Helpline: 1-866-4-U-TREVOR (1-866-488-7386). Brandon Joseph Elizares, 16: artist, poet, Shakespeare lover, gay boy. Bullying led to his suicide June 2. His mother doesn’t want anyone to face prosecution for her son’s death by suicide. She says he made a choice. But it is clear to her, to Brandon’s friends, and to El Paso community leaders that bullying led to Brandon’s suicide. Instead of retribution, Ms. Elizares hopes the parents of bullies and their victims across the nation will learn from her awful loss. Parents, she says, must become more aware of what their children are doing in school, whether they are bullying others, or are the target of bullying. “You can’t fix anything if you don’t know what the problem is,” she said. Brandon’s story is going viral around the nation. Many are learning about him, his challenges, and the courage of his family. Though news outlets usually refrain from reporting on suicides, the special circumstances surrounding Brandon’s death have caused many media organizations to make an exception. Homophobic bullying has to be exposed in order to effectively confront it. 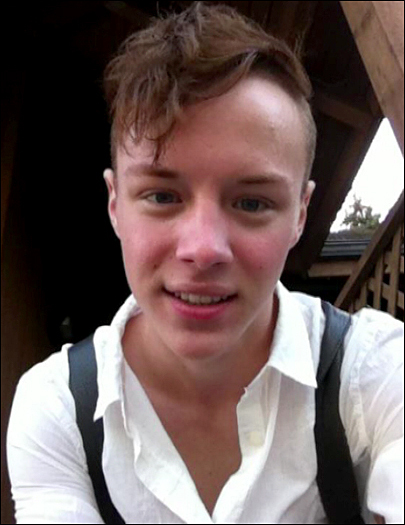 Brandon Elizares, 16, committed suicide after two years of homophobic bullying. Brandon’s mother said that officials at Andress High School had worked aggressively to stem the bullying, but in the case of her son, it was not enough. “They’ve reprimanded several kids and they did everything that they could,” she said. Brandon’s friends told Elizares that he had been insulted for being gay just before the weekend, and that at least one of his tormentors had threatened to fight him when they saw each other on the following Monday, according to the Dallas Voice. Elizares believes the threat of physical violence was what drove her son to take his own life. “My son had every right to live his live the way that he wanted to, without having to fear that people would call him names or threaten to beat him up,” she said. Although officials of the El Paso Independent School District could not comment on this specific case, they affirmed to KFOX14 that they have a strong anti-bullying program in place and working in their schools, including Andress High. Brandon Elizares death from homophobic bullying underlines the problems schools face when a culture of intimidation has taken hold in a locale. Debra Carden, EPISD’s bullying committee leader, noted to KFOX14, “What a bully is looking for is to try and scare you into not reporting it, so that nothing is done.” She issued an appeal to students, parents, and friends to report any actual or suspected incidents of school bullying immediately. 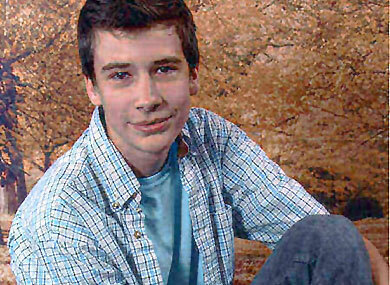 Kenneth Weishuhn, 14, bullied to death by his schoolmates for being gay. Primghar/Paullina, Iowa – An out gay teen took his life in Northwest Iowa on Saturday night because bullying in his high school had become intolerable for him. Kenneth Weishuhn was just 14 years old. After coming out as gay barely a month ago, the torrent of anti-gay harassment overwhelmed his gentle spirit. KTIV News reports that he had not anticipated how hated he would become after revealing his sexual orientation to his friends. His sister Kayla told reporters that her brother was constantly harassed and bullied by boys in her class at South O’Brien High School where Kenneth was a freshman. “People that were originally his friends, they kind of turned on him,” she said. 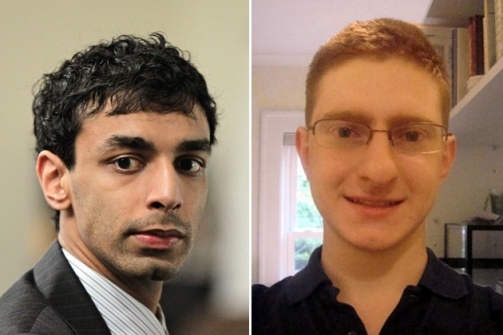 Bullies set up an anti-gay Facebook page targeting Kenneth. Then, Kenneth started receiving death threats on his phone. “A lot of people, they either joined in or they were too scared to say anything,” Kayla concluded. His mother Jeannie Chambers asked him about the menacing phone calls, but believed Kenneth was handling them well enough. Still, there were warning signs that the pressure was getting to much for the 14-year-old. EDGE On the Net reports that Kenneth told his mother “Mom, you don’t know how it feels to be hated.” Though the school was aware of the bullying and issued a warning to his tormentors, it seemed to do no good. Nothing stopped. Kenneth’s mother says the school never contacted her about the problem. Now she is contemplating bringing legal action against the students she feels drove her son to suicide. The towns of Paullina and Primghar, approximately 50 miles from Sioux City, are having to come to grips with the ugliness of homophobia and hate crime, issues these communities of largely German Lutheran ancestry never thought they would have to face. Counselors have been working with Kenneth’s schoolmates who are devastated by the suicide of their friend. Many saw him as a loving, loyal friend, and cannot understand how hateful other students have been. His friends have created a tribute video to express their love and grief at his passing. According to Channel 4 News, authorities are investigating both the in-school and online bullying that targeted Kenneth for being gay. Kayla says that she has lost her best friend, the only person she could completely trust. Hatred built to a point of no return, she believes. “Things get started, and then they get out of hand,” she told interviewers for Channel 4. “Then they go too far, and you can’t stop it. He is gone now, and he is not coming back.” Kenneth’s funeral was conducted on Thursday at Grace Lutheran Church in Primghar. Austin Rodriguez, 15, overdosed on prescription pills because of incessant bullying due to his sexual orientation. Wellsville, Ohio – An openly gay 15-year-old is struggling for his life in a coma after high school bullying drove him to attempt suicide. The Advocate reports that Austin Rodriguez, student at Wellsville High School, collapsed on the kitchen floor in front of his mother after swallowing over 100 pills because he faced concentrated ridicule and harassment for being gay. According to WFMJ TV, Rodriguez seemed lethargic to his mother last Friday evening, and then fell at her feet to the kitchen floor from taking a massive overdose of his own prescription drug. She rushed him to a local hospital for treatment, where doctors then helicoptered him to Akron Children’s Hospital where he remains in a medically induced coma to protect his life. Because of the extent of the damage to his lungs from the overdose, Rodriguez is in critical condition, but his doctors are guardedly optimistic that he will recover. His mother is appealing to the Wellsville High School administration and to other schools in the Ohio Valley to change its policies toward LGBT students like her son. In an interview for WFMJ, Bonnie Rodriguez said she had no idea her introverted, quiet son was being bullied to the degree he was until school friends came forward “out of the woodwork” to tell her stories of fear and pain after Austin was hospitalized. In the last eight months Austin had come out to her, and she said she shares a loving, “honest” relationship with her son. “I actually didn’t know how bad it was for him in school until he actually did this,” Mrs. Rodriguez said. “And until friends came out of the woodwork saying we knew Austin was going through this, we thought he was handling it a lot better. We didn’t know what to do.” Mrs. Rodriguez went on to say that Austin was happy and relieved at first because coming out to her had gone so well, but later he fell into a depression she was unable to get to the bottom of. Now she knows the bullying at school was behind much of her son’s desperation, and he was unwilling to talk about it because he didn’t want to seem weak. Schoolmates harassed Austin cruelly, forcing an already introverted boy to feel like an outcast. His mother told reporters the extent of the bullying her son had to endure: “It was electronic, it was face to face bullying, they were hiding his gym clothes because they didn’t want him changing in the locker room with them,” she said. “They didn’t want him to eat by them, or in the school lunchroom.” Mrs. Rodriguez hopes that no other family has to undergo what hers has to face, and her calls for action are beginning to be heard. WTRF TV reports that the Wellsville High administration is investigating the situation that led Austin to attempt suicide. There is no Gay Straight Alliance (GSA) at Wellsville High, but administrators now say they are open to the establishment of one. Students say that Austin was bullied constantly because is came out as gay. They also say that the school is not doing enough to address the problem of anti-gay bullying. Principal Linda Rolley is fielding their complaints as the investigation proceeds. Meanwhile, the next few days are crucial for Austin’s physical recovery. The culture of harassment and violence that led to this hateful outcome, however, remains intact throughout schools in the Akron area.